surfaces. All you have to do is slip on Le Glove and pat at your garments and the fibres instantly come away. Only recently has the product been made available in Australia, yet it is already proving to be the new must have item for stylistas everywhere. Personally I have never seen anything as effective in removing unwanted nasties from garments and the great news is they are fully biodegradable. product where lint ridden clothes are a thing of the past. As a stylist (and lover of the knit), Le Glove has become an essential addition to my styling kit. 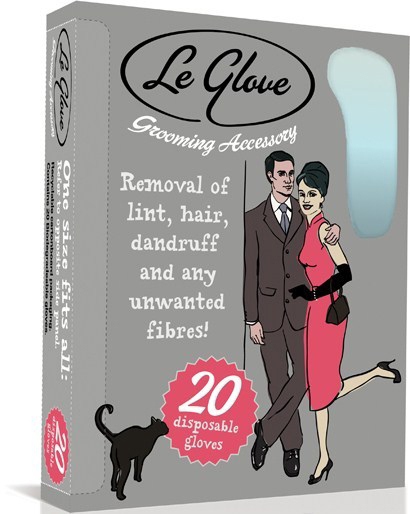 Le Glove 20 pack (rrp:$14.95) The clothes brush is a thing of the past thanks to Alleywho!! They never seemed to work well anyway. A very sharp pair of scissors. Needles, good dress making pins, safety pins and a selection of different coloured thread. A selection of bulldog clips. These are used to pull in waists that are too big or jackets that don’t hang well. Double -sided tape. This can be used for quick hemming or for sticking down collars or attaching light accessories. Masking tape to cover the soles of shoes. In studio if not using tape on shoes, have a cloth to wipe bottoms of shoes before model walks onto the backdrop. Dirty footprints do not a happy photographer make. Stain removers. Check on inside of hem first before using. Drycleaning fluid is useful. Clean white cotton or tissues to dab stains or soak them up. Spare shoe laces: they are often not long enough. Ribbons, selection of scarves and bits of fabric. These can be used in hair, round neck or as accessories. A chiffon or silk scarf to use as protection against make-up if you have to put garments over head. Shoe socks, a selection of socks and cotton wool in case shoes are too big. Cover up, for model to wear when having hair and make-up changes done. Shoe polish for touching up shoes if they look tatty. Talcum powder will ease feet into small shoes and is essential for latex (which I use more often than you would think). Can also be used to soak up grease or cosmetic stains on garments. Reference: Mastering Fashion Styling by Jo Dingemans, Palgrave Master Series, 1999 – IF YOU WANT TO BE A FASHION STYLIST, I CANNOT STRESS IT ENOUGH, GET THIS BOOK! 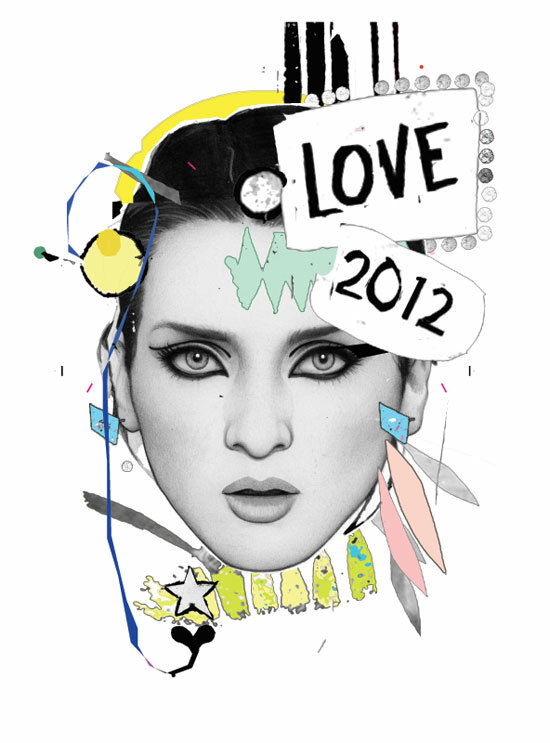 Warning: The only side-effect of Le Glove is that once you have them you won’t be able to live without them! !